Legendary Madchester band Happy Mondays are to play Chesterfield. 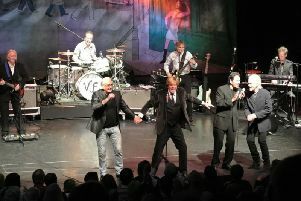 The iconic band, responsible for classics like Step On and Loose Fit will play the town’s Avenue venue on December 15. Support comes from Alongside ‘Tom Hingley and the Kar-Pets’ as well as an all 90s set from local heroes The WonderWhys. To book tickets, priced at £32.50, CLICK HERE.